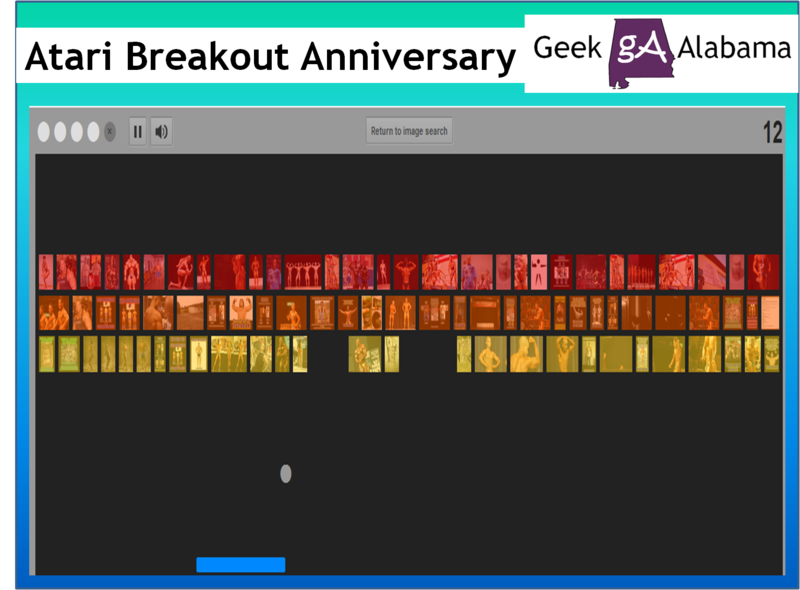 Today is the 37th anniversary of the Atari game Breakout. You remember that game, you swung a paddle to keep a ball in the air to hit tiles and earning points. Originally created by Nolan Bushnell and Steve Bristow, Breakout debuted in 1976 as an alternative to the game Pong. If you complete a level, don’t worry, Google will do another image search and start a new level! Make sure you keep your mouse pointer inside the black area or the paddle will stop working. To start playing the game, click here!